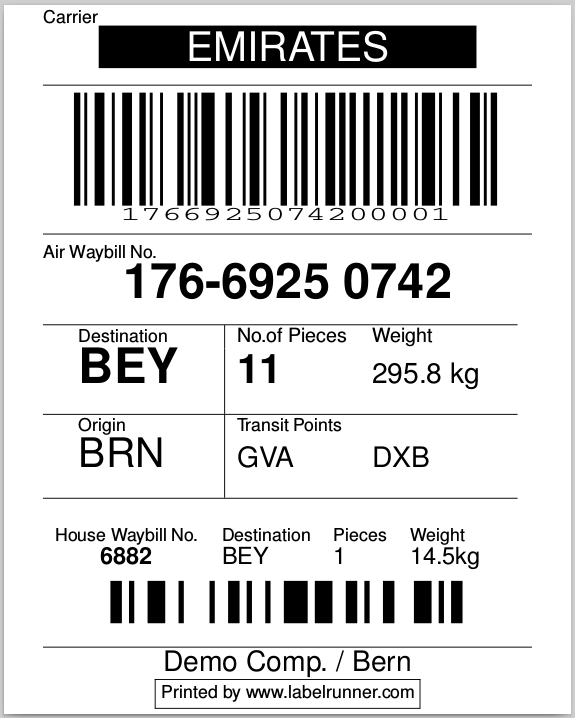 Printing IATA AWB, House Waybill and combined Barcode Label based on IATA CSC Resolution 606 is a main service when handling cargo for freight forwarder companies. The posibility to include your clients logo when printing AWB Label can help you sell your service. 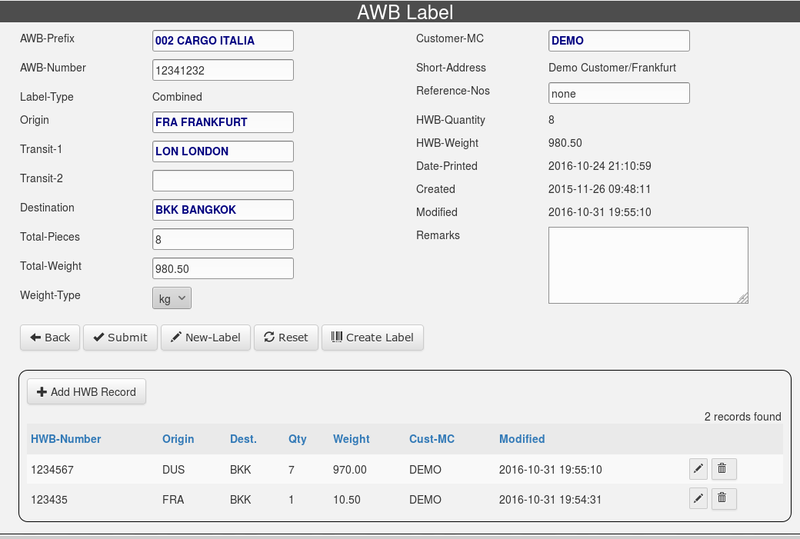 For the purpose of billing your customers you can use the AWB report to sum up the number of printed AWB-Label. Temporarily storing goods for freight forwarders companies is a service you can offer when handling Cargo. 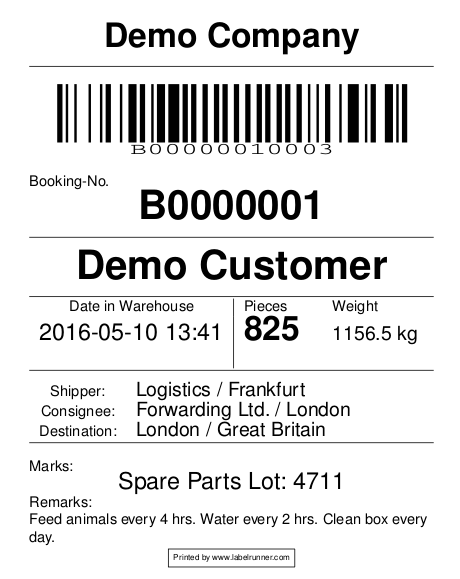 For this service you can print warehouse label incl. barcode. When entering your consignment you can enter additional information such as the: customer matchcode, shipment type, shipper, consignee, destination, outgoing by, date and time in and out of storage. This helps you when billing your customers by use the Warehouse report to sum up the time the goods were in storage. 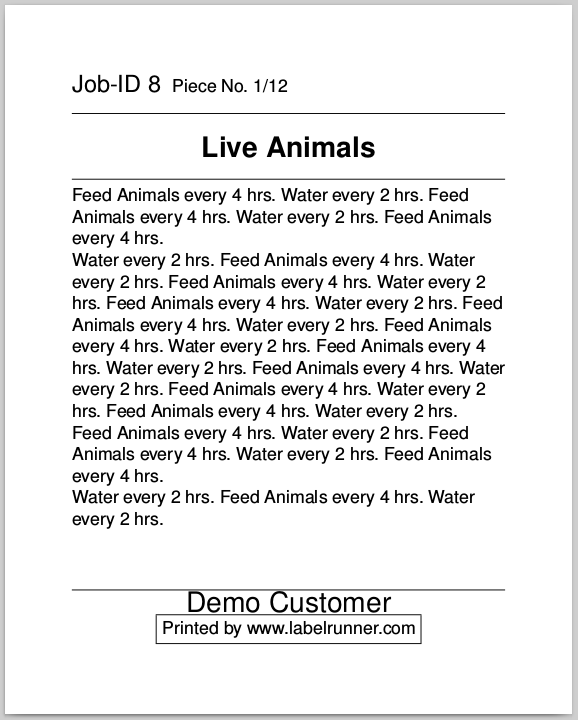 Use text label for product information and safty notices. After choosing your textlabel template you can enter all the information needed on the text label. Then print your labels.